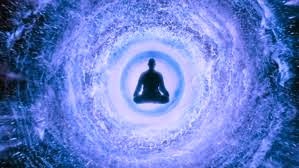 The adjustments that have been undertaken recently will help to bring you all up to par, as it were, with the continuation of incoming energetic fluctuations. Even if some of you will still feel some temporary physical setbacks as the full scope of these energetic encodings enter your being, you will soon find yourself emerging from the fog in every sense of the word. You see, as the ongoing downloads will will continue to increase not only in magnitude but also in velocity. You will also continue to increase your abilities to incorporate them at an ever increasing rate of speed. There is no holding back this flow of endless illumination, and so, as you continue to take in more of these energized particles with literally every breath you take, you are also in a continuous flow of expansion and eviction. In other words, as you continue to grow with this flow, you also continue to exhale whatever it is that your body has been holding on to, the detritus, to use a familiar word, of your former existence, and this will continue to exit your physical vehicle. This process in itself is not without its interesting side effects as some of you may be able to testify to, for it will at times feel as if you have been running a marathon or moving a mountain during your sleep. In many ways, this is actually what you have been doing, as you are all doing a formidable work of lightening your load in this way. As day follows night and in the blink of an eye seems to be followed by a new day, this process continues to speed up exponentially, and you can almost be likened to shooting stars now by the amount of debris that glitters in your wake. If you could see this from our perspective, you would see yourself as a shining pinprick of light gathering speed, while a trail of glimmering stardust shimmers in your wake as you continue to separate yourself fully from your old being. This process is something that has not been done before, for unlike others going through a similar process of upscaling their energetic vibrational field, you are doing so while fully immersed within a physical body. You are truly the brightest stars on the firmament in every sense of the word, and you are also the ones who have been chosen for this very task by your abilities to fly as high as you are doing. For this is not something that is taken on by chance, but by a divine design, a design that you yourselves have been instrumental in putting together. We say know that all is well, and you are fanning the flames of your booster rockets even as we speak, the better to accelerate your speed even more as this week continues to supply you with even more fuel for your engines. All you have to do, is to allow that old field of dust that is still trailing in your wake to finally let go completely from your field. Even if this evacuation process of the old is beautiful to behold, and the detritus from it can be mesmerizing to observe, it is also of the greatest importance that you do not let yourself fall for the temptation to crane your neck and look behind you too much. What you need to do, is to focus on the horizon ahead, and the more you continue to look backwards, the more tempestuous your journey will be. In other words, let yourself fly away from the old and focus your inner vision on what lies ahead, not on those shimmering and alluring glimpses of your past. They will only serve to slow you down, and remember the incoming shower of sparks will only serve to push you that much harder if you are facing in the wrong direction. Please give yourself the leeway you need in order to let bygones be bygones, and set your sight on the uncharted territory that awaits ahead, ready for you to come and reclaim it. It may seem unfamiliar to you at the moment, but the space that awaits you is more familiar to you than what you can envisage at this time. It is indeed the primordial sea of energetic potential that beckons ahead, a place you used to know like the back of your hand, and a place that is eager to welcome you back home into it. Thus, the more you let yourself forget what is trailing in your wake, the sooner it will let go completely from your sphere of influence, and the faster and lighter your journey forwards and upwards will be. So let go, and let the flow of incoming light continue to push you in the back so you can get reunited with that former version of you, the pure one, the all-encompassing one. The one that is devoid of inhibitions, limitations and lies, the one that is pure and simple Light and Potential. This time, it will be all this and it will be held within this familiar container you call your body. And that dear ones, is the goal you are aiming for. It is within reach for every single one of you, and it is far, far closer than you perhaps think.